Bulletstorm: Full Clip Edition arrives on April 7th and, as we’ve mentioned before, there’s lots of new content to enjoy. New Echo maps, the all-new Overkill campaign mode, and the upgraded visuals are just a few of the additions that make this the definitive Bulletstorm experience. 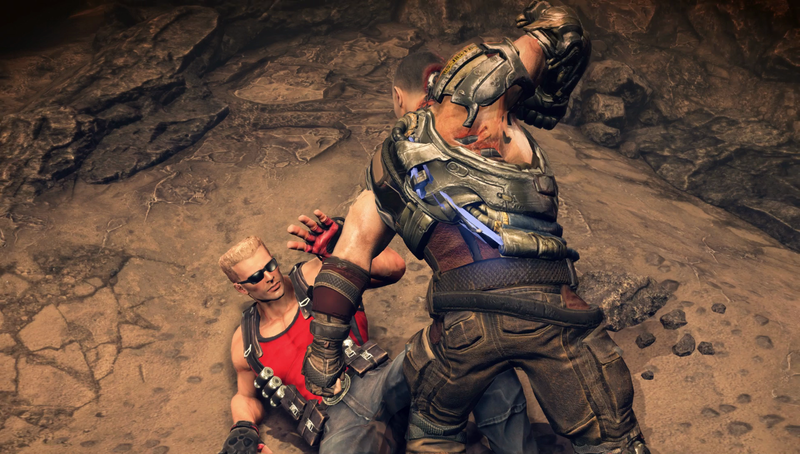 On top of all that, we’re especially excited about the Duke Nukem’s Bulletstorm Tour add-on, which is free when you pre-order! With this add-on, you’ll be able to play the full Bulletstorm campaign as Duke, complete with all-new dialogue from the voice of Duke himself, Jon St. John! 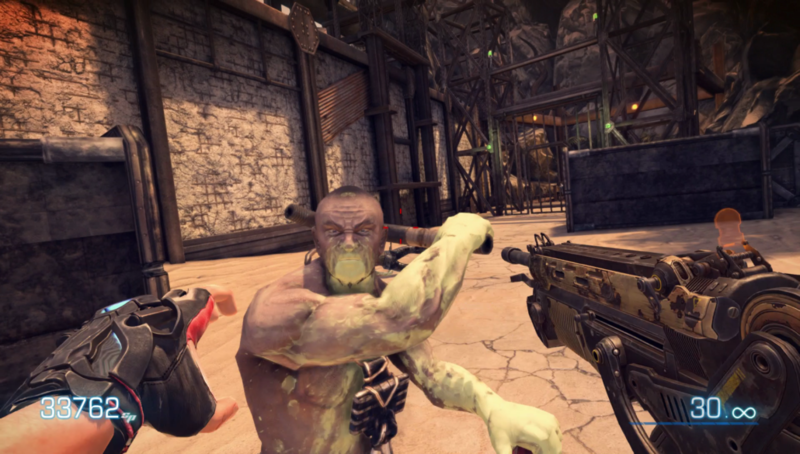 We’ve asked some of the people close to the project to help us delve a bit deeper into the idea of including Duke in Bulletstorm: Full Clip Edition — especially how and why it happened. As for the “where”? Well, we’ll get to that too. The idea seems unconventional, and it is. But when we really thought about it, it made so much sense. Duke Nukem and Bulletstorm are kindred spirits after all – both are “say whatever’s on your mind, action-packed, roller coaster rides”. On top of that, Duke knows a thing or two about being in hostile situations where only his wits and a giant gun stand between him and certain annihilation. 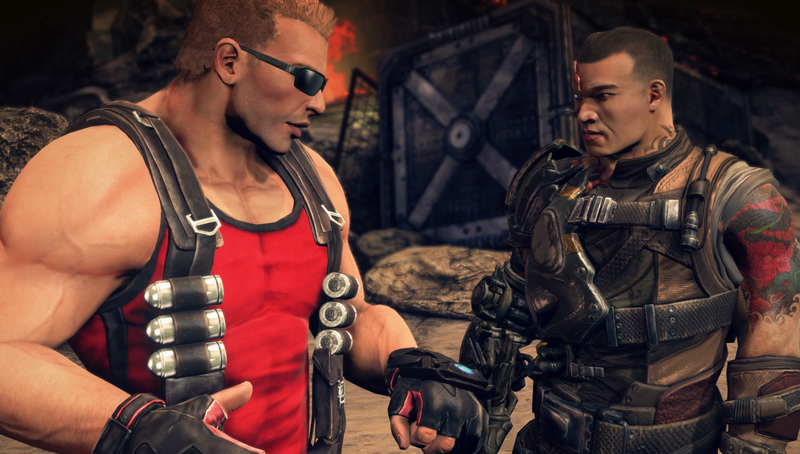 Would Duke and the Bulletstorm crew play nice and get along? Only one way to find out. “Colorful” is a great way to describe Duke Nukem’s Bulletstorm Tour. Not only in terms of the dialogue, but also in the sense that playing as Duke puts a new spin on an already entertaining campaign. It’s a perfect example of why Bulletstorm: Full Clip Edition is more than just a remaster — it’s a reinvention. New content, newly updated visuals, and extras like Duke Nukem’s Bulletstorm Tour prove that this is absolutely the definitive Bulletstorm experience. Visceral, no-holds- barred gameplay is back, and now you can experience it as The King!